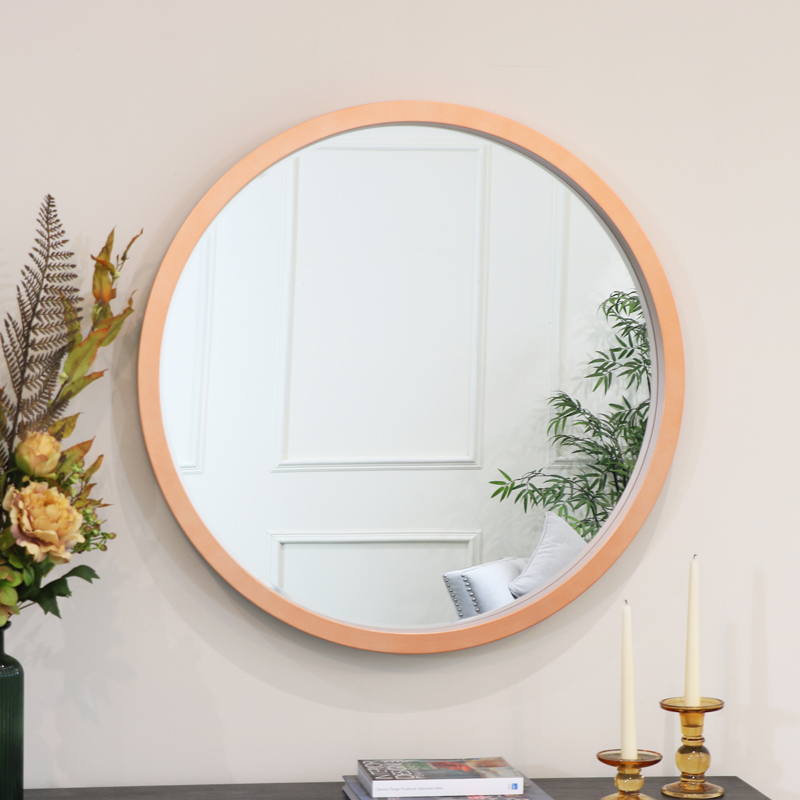 Make a bold interior statement with this striking and on trend copper wall mirror. Large round design that will add the 'WOW' factor to the living room or hallway. This will also make a fantastic bathroom mirror for that something different and funky. The mirror accesnutates the metallica copper finish. Whether you're looking for a large or small mirror, tall or short, wall mounted or freestanding, we have something just for you. A great choice of colours, sizes and finishes. Make a bold interior statement with this striking and on trend copper wall mirror. Large round design that will add the 'WOW' factor to the living room or hallway. This will also make a fantastic bathroom mirror for that something different and funky. The mirror accesnutates the metallica copper finish.